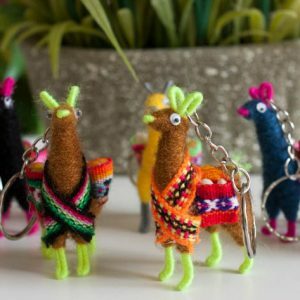 It is a miniature Llama key chain handmade from Alpaca yarn and wool. 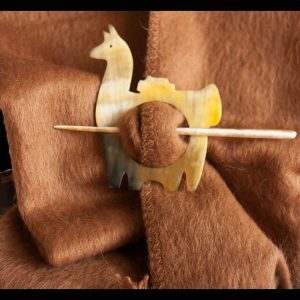 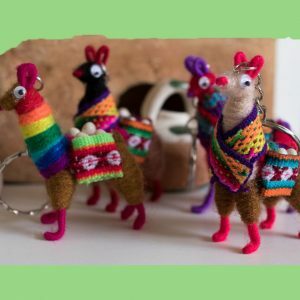 The llama has a stitched blanket and bag on its back crafted with llama wool with Andean Textile fabric, the bag contains dry corn, quinoa, organic beans. SKU: 7014. 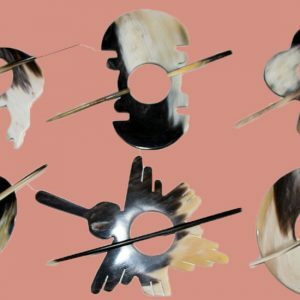 Availability: 98 in stock Size: 4 × 4 × 1.5 in Shipping Weight: 0.5 lbs Categories: Accessories, Keychains. 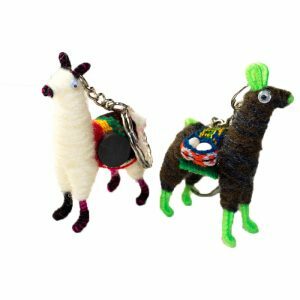 Tags: collectible llama key chain, llama keychain, Peruvian llama key chain. 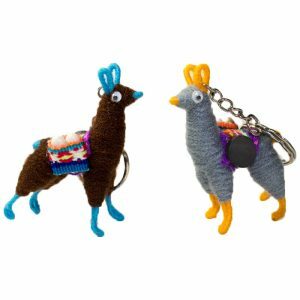 It is a miniature Llama key chain handmade from Alpaca yarn and wool. 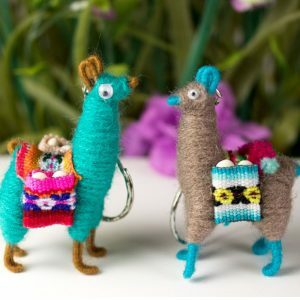 The llama has a stitched blanket and bag on its back crafted with llama wool with Andean Textile fabric, the bag contains dry corn, quinoa, organic beans. 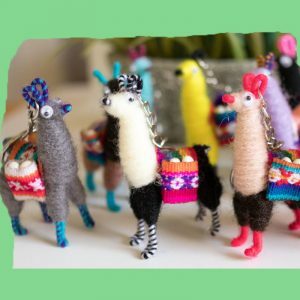 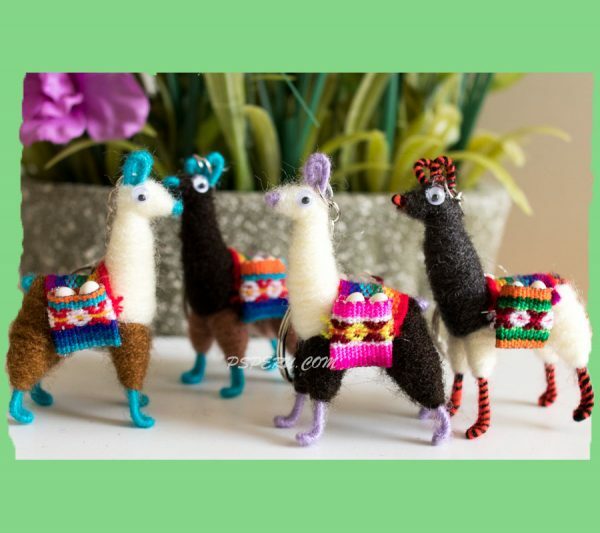 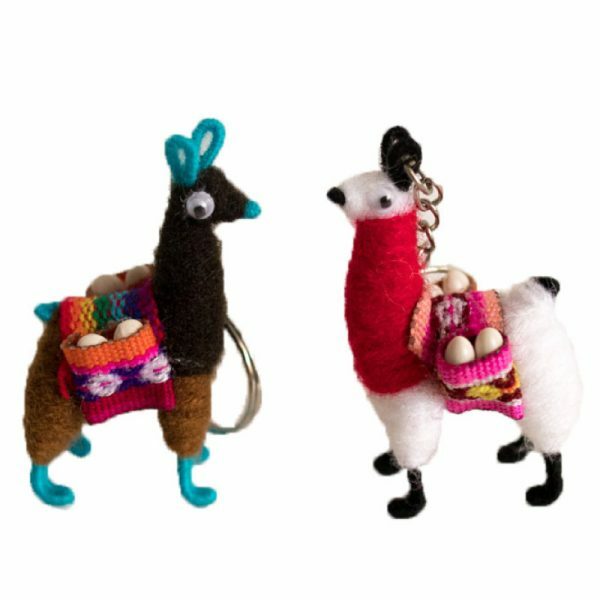 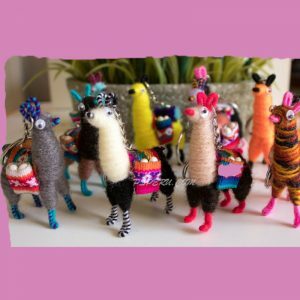 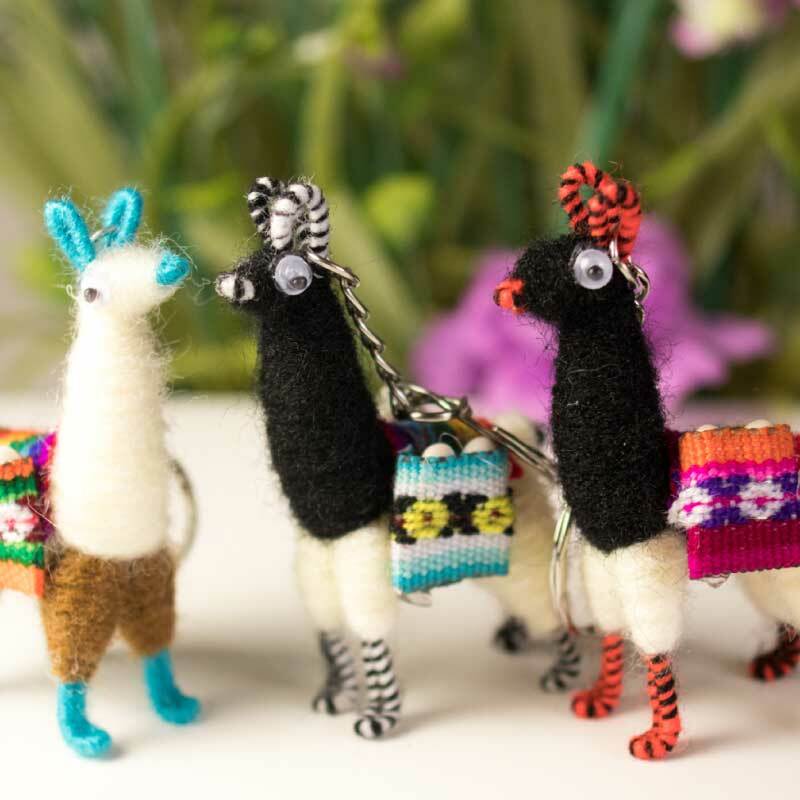 Nice and joyful key chains with traditional Peruvian alpaca in yarn. 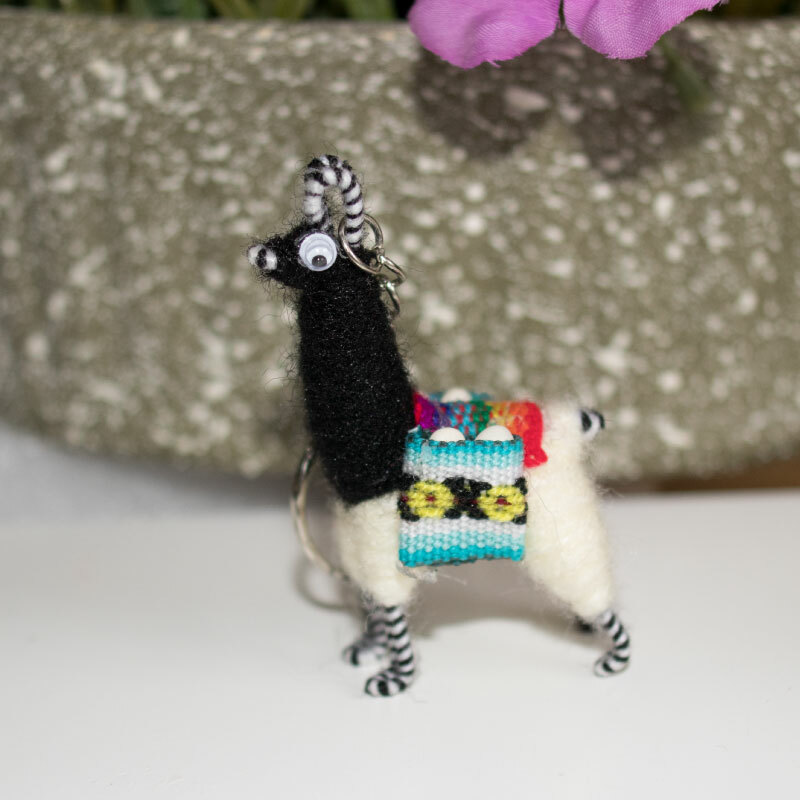 The llama eyes are made of plastic and the body is made of yarn. 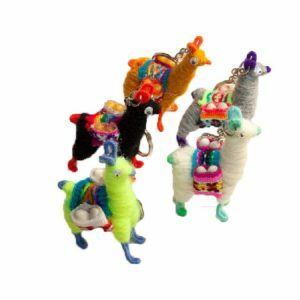 The Lama is an animal native from Peru; those animals are often used by the native people to help them carry their goods. All llamas are unique and have different combinations of colors and outfits. 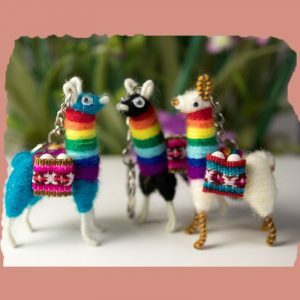 You can choice the color of combination of the body. 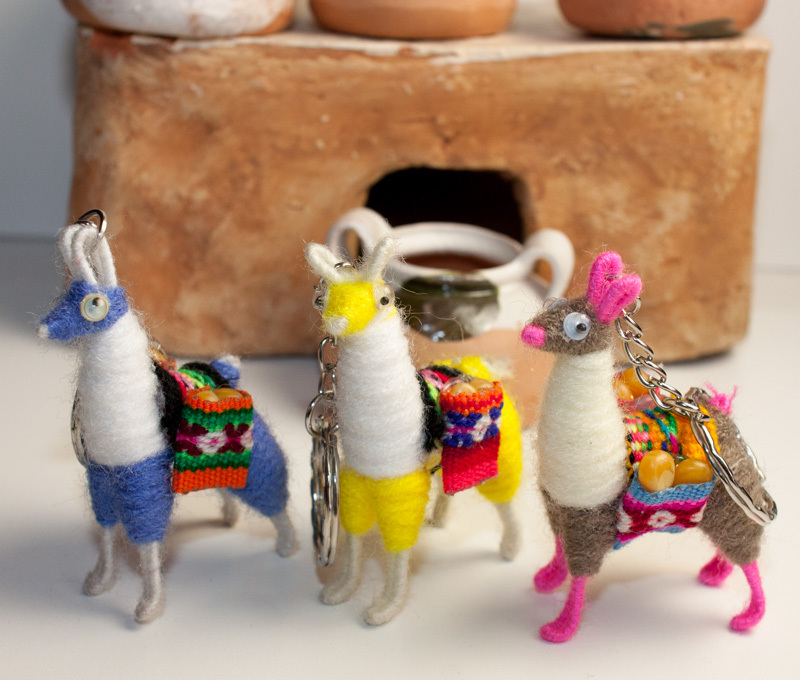 Note: Colors available. 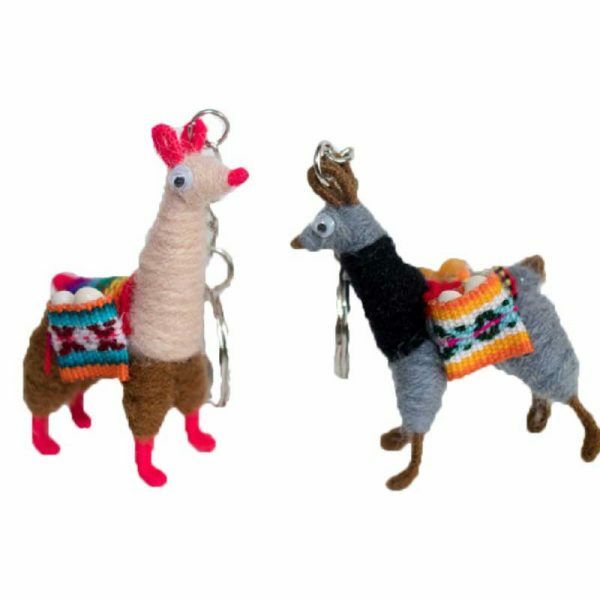 We could sell mayor quantities.